I've been collecting MAC brushes for a long time, and due to their price, it's not a collection that grows very fast. I've been lusting over a few brushes and the other day in a moment of late night online shopping madness, I made a cheeky little (big) purchase. 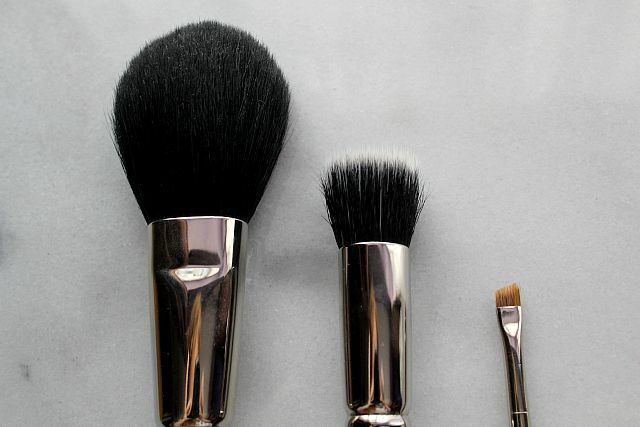 Any how, enough of me trying to justifying my brush addiction (I know I'm not fooling anyone here) and lets get onto the review..
Brush number one, the biggest of the bunch and the most basic.. the classic powder brush. 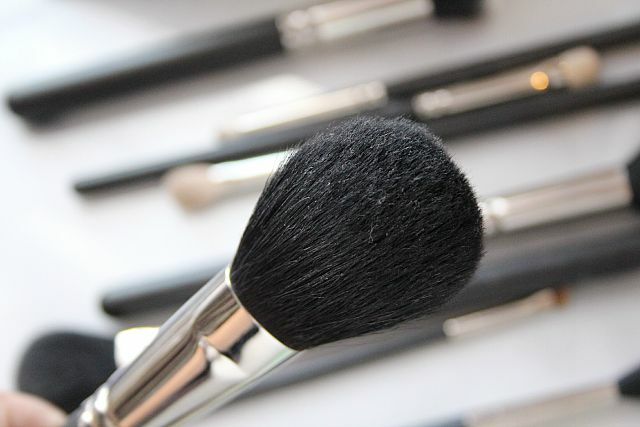 Before getting this brush, I never really looked forward to powdering my face, in fact, it was kind of like a chore that I forgot to do on a regular basis. But - all that has changed, I love this brush so much! When you use it, it softly clings to the contours of your face and the large head makes powdering quick and painless! I haven't experienced any shedding with this brush as of yet and when it's washed it keeps its shape. A must have in my books! A teeny weeny little brow brush has been missing from my collection for, well, since forever. I'm usually a brow pencil kind of girl but when I ran out of pencils I thought I'd give a new method a try. 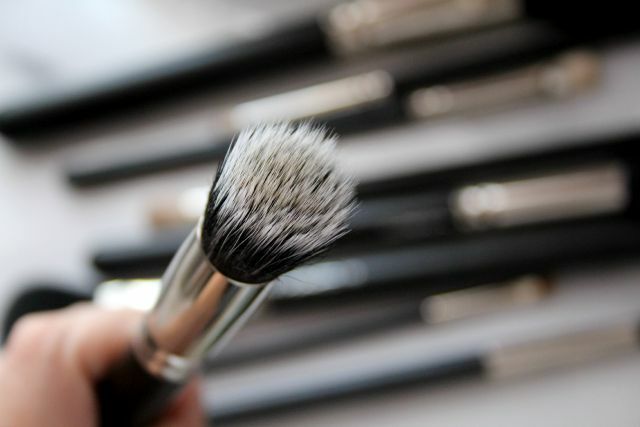 This brush may be cute and small, but it's also dense. 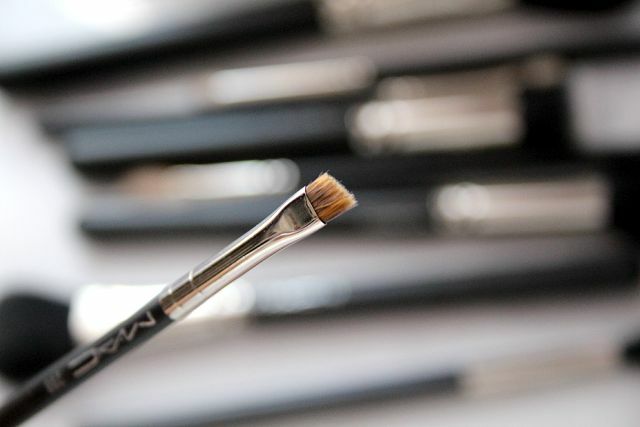 This allows you to fill eyebrows in with powder with precision, even letting you draw in individual hairs. I can imagine that this brush would be good for lining the eye too because of its angled shape, especially with gel eyeliner. Out of the three brushes, this foundation brush is the one I'm the most iffy with. I'll start with what I do like.. 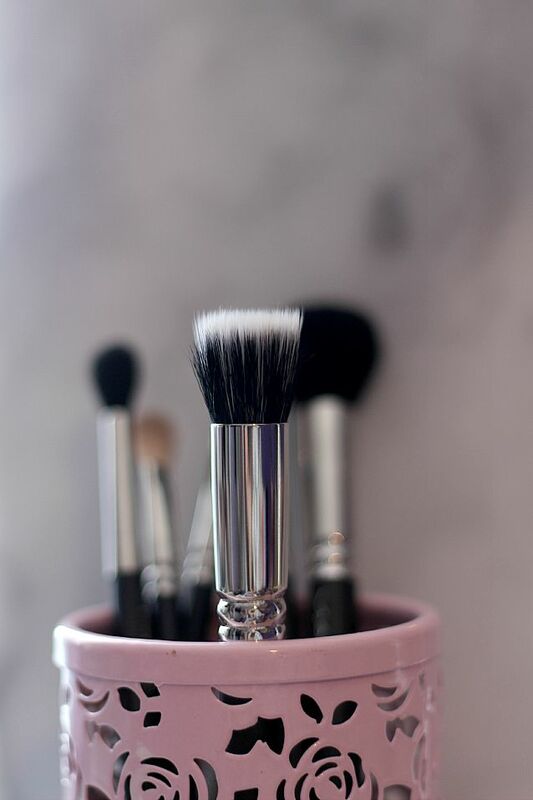 The duo fibres in this brush give a really natural finish to foundations on the skin because instead of blending the products into the skin it buffs it lightly over the top, which I love. The small size allows you to get into some harder to reach areas, such as around the eyes, which makes you look more even and polished. However, the small head does take a lot longer to work with because you're covering a smaller surface area. The one thing about this brush that really puts me off is the fact that it sheds like crazy! I don't mean like one or two hairs, I mean like five or six per use which can be really annoying (especially when they get in your eyes, which happened to me this morning!). After washing the brush the shedding situation did improve slightly, so I'm just hoping that maybe over time it'll get better. 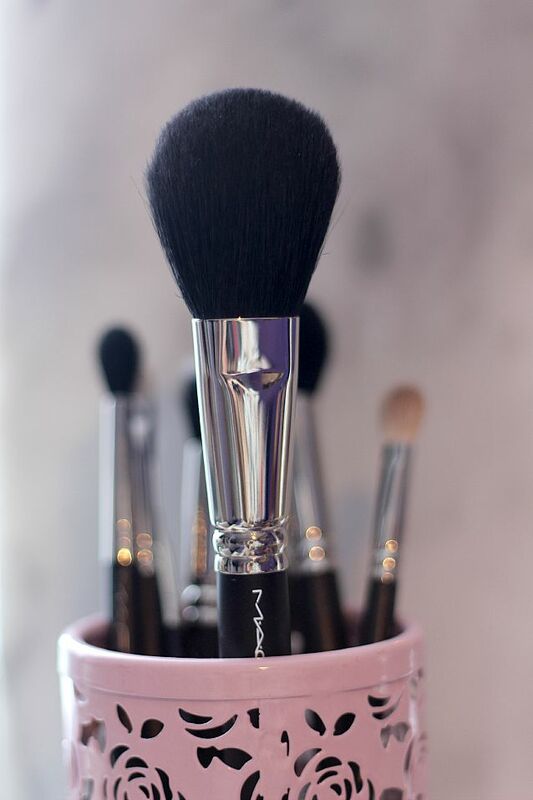 I am SLOWLY collecting MAC brushes too and I have not gotten very far due to price. 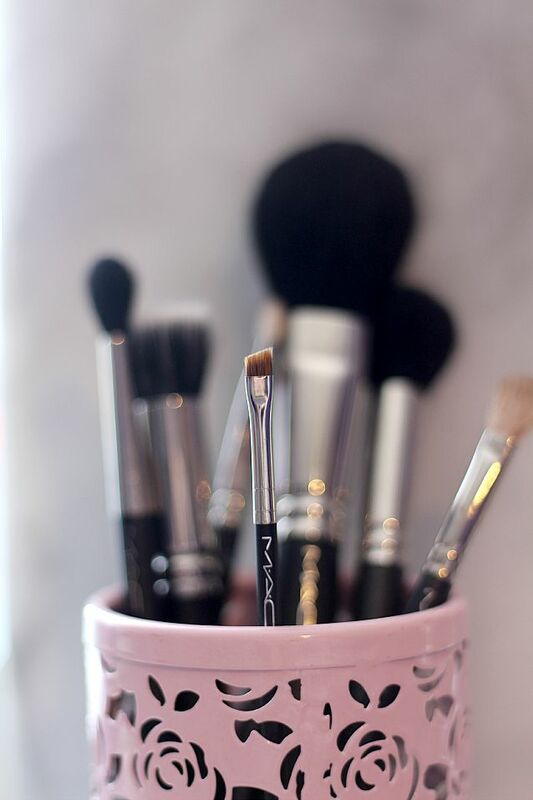 I have been eying that powder brush for a while now. It is just so fluffy and I bet it'd be fun to use it!! Great review, and now I want to go out and buy it! I've not got a single MAC brush! I feel this needs to be corrected... Lovely photos!